Jennifer Holm's 1999 novel Our Only May Amelia (which received a Newbery Honor in 2000) is one of my all-time favorite historical novels for kids, and I was eager to read the sequel which has just been released this spring. If you haven't read the first book, May Amelia is the only girl in a large family of Finn immigrants living in a remote area of Washington State around 1900. 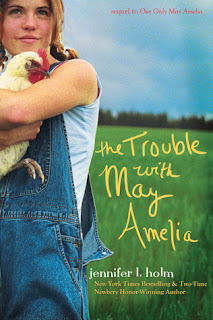 Amelia fits into the tradition of feisty tomboy frontier girls like Laura Ingalls, and her first story both made me laugh and made me sob (no spoilers, for those who haven't read it). While the sequel doesn't quite pack the emotional wallop of the first book, I greatly enjoyed this book as well. In fact, I felt like I was visiting an old friend whom I hadn't seen in quite some time, one I was glad to catch up with. How to describe 12-year old May Amelia? Holm opens the book with the following description: "My brother Wilbert tells me I'm like the grain of sand in an oyster. Someday I will be a Pearl, but I will nag and irritate the poor oyster and everyone else until then." Her Pappa tells her "he would rather have one boy than a dozen May Amelias because Girls Are Useless." She lives in the middle of nowhere with no girls to keep her company, and she's always being teased by her seven older brothers. Her father not only runs the family farm but also works at a nearby logging camp for extra cash. When a quick-talking stranger comes to town, May Amelia finally proves useful to interpret for her father from English to Finnish. The stranger's looking for investors to develop the land around the Nasel river, and assures Pappa he has powerful supporters. Pappa would have to mortgage the farm, but is this a once in a lifetime opportunity to bring the family out of poverty and into prosperity? And will May Amelia finally demonstrate to her father that she has "sisu", or guts? This story is based on the author's own family history, in particular that of her great-grandfather, who settled on the Nasel River in 1871. But it is young May Amelia who's the star of this funny but also moving tale of the Western frontier. She's one of those characters who stays with you long after you've finished her story. I'd love to see Jennifer Holm continue with more stories about May Amelia as she grows up. But I hope we won't have to wait twelve years for the next installment! For more great books for tweens, check out Green Bean Teen Queen's weekly meme, Tween Tuesday. ﻿Recommended for 12 and up. Robert Sharenow's gripping new historical novel for teens tells the story of fourteen-year old Karl Stern, a young boy growing up in Berlin on the cusp of the Second World War. He's never thought of himself as a Jew--his parents are agnostic, he's never been to synagogue, and with his fair coloring, small nose, and tall, skinny build, he doesn't "look" Jewish. But it's 1934, and the bullies at his school are terrorizing the handful of Jewish students. After they beat him up, Karl providentially gets the opportunity to take boxing lessons with the world-famous German heavyweight Max Schmeling, who it turns out is a friend of his father's. Karl's never been much of an athlete, preferring to spend his free time drawing cartoons inspired by American and German comic strips. In fact, his comics are interspersed throughout the novel. He's lived a comfortable upper-middle class life in Berlin, with his little sister, their maid, and his parents, who own an art gallery that specialized in expressionist artists--at least until the Nazis deemed their art "degenerate," and forbade galleries to exhibit their work. But with the Nazis in power, business at their gallery is drying up, and their livelihood is coming from printing illicit flyers and serving as a middleman for desperate Jews anxious to sell their art before leaving the country. Throughout this period, boxing becomes an unexpected sanctuary for Karl, and the men of the Berlin Boxing Club, where Schmeling trains when he's in town, become a second family for him. For Karl it's a new world, "a world of men and warriors," where he could dream of becoming German Youth Champion. As long as no one discovers his secret, that is--that he is Jewish. Schmeling puts Karl on a grueling training regimen of shoveling coal, push-ups, sit-ups, pull-ups, and running, before he even lets him get in the ring. Karl also has to re-learn how to stand, breathe, and even eat as part of his training. Soon he's sparring with grown-up men at the club, aspiring professional boxers who jokingly dub him "the punching bag." As Karl re-shapes his body, he develops more confidence, even beginning a clandestine relationship with a beautiful Catholic girl in his apartment building. While hiding his Jewish identity from his boxing friends, he's astonished to discover in American boxing magazines at the club that Italians, Irish, blacks, and Jews dominate boxing in the U.S. One famous American fighter is even the son of an Orthodox rabbi! As conditions for Jews worsen throughout Germany with the passing of the Nuremberg laws, Karl is expelled from school for being Jewish, and his family is evicted from their apartment and forced to move into their gallery. At the same time, his idol and mentor, Max Schmeling, is pictured in the press hobnobbing with Hitler, Goebbels, and other Nazi leaders; Karl can't make sense of it, considering he knows Max has many Jewish friends and even his American manager is a Jew. When Max takes on black heavyweight Joe Louis in the ring, it's more than a boxing match; it's a test of the Nazis' theories of Germany racial superiority. The story comes to a climax around the harrowing night of Kristallnacht, when Karl's father's business is targeted by roving bands of Nazis. Will Karl's friend Max be able to help save Karl and his family? Sharenow was clearly inspired by the real-life story of two Jewish boys who were actually rescued by Schmeling on Kristallnacht, although he is careful to note in an author's note that any similarities between the Stern family and the family of the rescued boys are "purely coincidental." The author's note recounts briefly what happened to Schmeling, who was drafted as a paratrooper during the war, an especially dangerous duty that many interpreted as a "punishment" for his loss to Louis. After the war Schmeling because a successful businessman with Coca-Cola, and was one of the pallbearers at Joe Louis' funeral (even paying for the funeral expenses, since Louis had fallen on hard times). An afterword provides details on Sharenow's many sources for this well-researched novel, which included watching newsreels and films of Schmeling and Louis' fights on You Tube, as well as researching comic book pioneers from both Germany and the U.S. and numerous interviews with people who lived in Germany. Sharenow's website includes a variety of historical video clips, not only of Schmeling and Louis' fights, but of Schmeling and his wife, a glamorous German movie star, in a film they made together, Berlin cabaret music, and more. 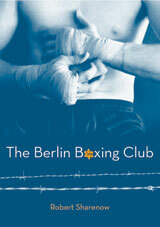 So far Berlin Boxing Club has received well-deserved starred reviews from Kirkus and Publisher's Weekly; it's one of the best books I have read so far this year and I'm hoping this is a book the Printz award committee will be taking a close look at. It's a book that is sure to appeal to many boys--even reluctant readers--but my 16-year old daughter also gobbled it up in one sitting. There's plenty to appeal to adult readers as well, although the book is definitely a coming-of-age tale that's typical of the YA genre. Even the minor characters in the book, such as the cross-dressing "countess" who's an old army buddy of Karl's dad from World War I, are highly memorable. This book is definitely a "must purchase" for public and school libraries. A discussion guide for the novel is available on Sharenow's website. For more on the complex figure of Max Schmeling, see a BBC obituary from 2005, when Schmeling died just a few months short of his 100th birthday. A 90-minute documentary The Fight, on the Louis-Schmeling fight of 1938, is available from PBS' American Experience and through Netflix. The film's website includes a teacher's guide and a variety of background information on both fighters. Today the Armchair BEA organizers have asked us to write about blogging, and provided a list of suggested topics. One of them was book blogging events. Book blogging for me is a very solitary hobby/occupation, usually done when the kids are in school and I'm home in a quiet house. When I first started blogging, I signed up for Mother Reader's 48 Hour Book Challenge (this year it's coming right up--June 3 through 5). This was a great first blogging event--I really felt part of an on-line community, and it was fun to surf around to other blogs (and even have a few people come visit my blog!) She also offers great prizes, which I didn't win, alas, but hope springs eternal! I also participated in Bloggiesta, which gave me the push to do some clean up on my blog that I had been meaning to do but probably would never have managed to get to! I encourage everyone to participate in these events--it's especially good for new bloggers who are trying to get some followers and get their blog noticed. Leave a comment with your favorite blogging event! Today, BEA's organizers have asked participants to post about a relationship bloggers have formed with a particular publisher, author, blogger, or bookstore. Before I started blogging, I worked at a wonderful independent children's bookstore nearby my home, Mrs. Nelson's Toys and Books in LaVerne, California. One of my favorite parts of working at the bookstore was attending the various author events held at the store, and when I started my blog, I made a decision that I would try to reach out to authors to share my reviews with them and try to do occasional author interviews as well, particularly with debut authors. I saw your email this morning but did not have the focused time that I wanted to sit down, peruse your site, and read the review. Until now. What a pleasure. An insightful review, on such an elegant site as yours, means so much to Lisa and me. The extra care you took to give a balanced and thoughtful presentation of the book-- including one of Lisa's illustrations, and the link to out beloved site-- is much appreciated. Also, your wallpaper matches our book wallpaper. Which I love. I'll certainly post your link-- and I am very happy to know about fourthmusketeer." In this story written in a series of free verse poems, debut novelist Thanhha Lai spins a moving and compelling tale of a young Vietnamese girl who moves with her family from war-torn Saigon to Alabama in 1975, at the end of the Vietnam war. When the book opens, Hà and her family are celebrating Tet, the Vietnamese New Year. She lives with her three older brothers and her mother; she can't remember her father, a navy officer, who was captured by the enemy years before, and no one knows if he is even still alive. As the war approaches Saigon, Hà and her family must prepare to leave, packing just a few belongings with them. A particularly poignant poem itemizes what they must leave behind, including "Brother Quang's/report cards,/each ranking him first in class,/beginning in kindergarten..." Hà must leave her beloved papaya tree, where the fruit is still not ripe. Author Lai does a wonderful job of evoking the sights, smells and sounds of Vietnam for the American reader. Their voyage by ship is dangerous and miserable, with not enough food, water, lights, or bathroom facilities. When they finally reach the open sea, they are rescued by an American ship, which tows them to a refugee camp in Guam. Where will they go from there? They choose America, where Hà 's mother believes there will be opportunities for her children to go to college. But first they must be sponsored by an American family. Finally a "cowboy" rescues them, and they go off to Alabama. It's almost impossible to imagine how foreign Alabama must have been for these Vietnamese immigrants, until we read "American Chicken." In this poem, Hà explains how their cowboy brings them "a paper bucket of chicken/skin crispy and golden,/smelling of perfection/..." But when they taste the meat, her mother spits it out, and her brother gags; "Brother Quang forces/a swallow/before explaining/we are used to/fresh-killed chicken/that roamed the yard/snacking on/grains and worms/...I bite down on a thigh;/might as well bite down on/bread soaked in water./ Still,/I force yum-yum sounds." For Hà , it's a world of "clean, quiet loneliness." And living on the charity of others isn't easy for Hà and her family, who were used to a nice standard of living in Saigon. Hà is befuddled by the idiosyncrasies of the English language, remarking that "whoever invented English should be bitten by a snake." Her classmates make fun of her, and she hates feeling dumb, having to learn ABC's and numbers when in her own country she knew fractions and was the smartest in her class. It's hard not to wish to be invisible in this strange new place. However, some Americans are kind to Hà and her family; a neighbor tutors them all in English, their "cowboy" brings them gifts of chips and chocolate, and her teacher lets her eat lunch in her classroom to avoid the misery of the cafeteria and the tyranny of bullies. Will Hà succeed in building a new life for herself in this new country? 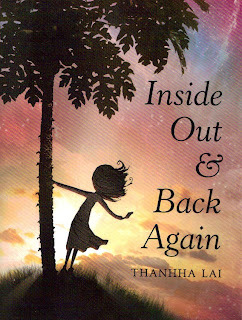 Although she comes from a background foreign to most of us, readers will nonetheless identify with Hà's spunky character, her squabbles with her brothers, and her difficulties fitting into her new life. This novel is already getting some early Newbery buzz, and it's definitely one to put on your to-read list. Q: Thanks so much for participating in the BEA blogger interviews. The first thing I have to ask—because enquiring minds want to know—what does Rundipinne mean? A: It is loosely translated to mean circular needles. When I started blogging it was solely for the purpose of joining a knit-a-long and I needed a blog name and looked down at my knitting and voila, my blog name was created. I never bothered changing it. Q: How long have you been blogging about books and how did you start? A: About a year and a half? I simply transitioned all my posts to be about books. Q: What three books are next on your to-read list? Q: I see that you love Scandinavian mysteries and Russian novels. Now that the Dragon Tattoo series has been so popular in the U.S., can you recommend some other Scandinavian mystery authors that you really like (that are available in translation, that is?) And what are some of your favorite Russian novels? A: Scandinavian authors; Karin Fossum, Arnaldur Indridason, Camilla Läckberg, Henning Mankell, Liza Marklund, and Jo Nesbø will give readers a nice start. Russian Authors; Anton Pavlovich Chekhov, Fyodor Mikhaylovich Dostoyevsky, Nikolai Vasilievich Gogol, Vladimir Vladimirovich Nabokov, Alexander Sergeyevich Pushkin, Aleksandr Isayevich Solzhenitsyn, Leo Nikolayevich Tolstoy...there are so many authors, none should be skipped. Q: What kind of chocolate can you not live without? A: I give almost everything I knit away and I knit for the boys. Pictures are on my blog in the very beginning as well as on Ravelry. My oldest son's favourite thing I have knit for him is a Dr. Who scarf. Q: What was the first book to make you cry? Q: Your blog has almost 800 followers. Do you have any advice for new bloggers on how to build their following? A: Advice? I am simply me. I blog what you love and enjoy. When it becomes a burden it is time to move on and do something different. Armchair BEA - Day 1! I've never had a chance to go to Book Expo America in New York (and I even somehow missed it when it was right here in LA!). I have a friend who goes every year and loves it, and I'm hoping to go in person next year if I can save the money! Mom, reader, book fairy, lover of babies, children, and dogs, librarian in training. Charlotte's Web, because it is one of the most perfect children's books ever written--a universal story of love, friendship, and loss. Most compelling book read so far in 2011? 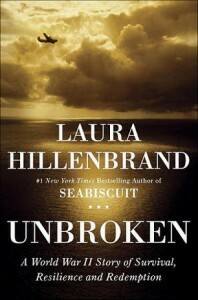 Unbroken: A World War II Story of Survival, Resilience, and Redemption, by Laura Hillenbrand. This past year fellow librarian/blogger Lisa of Shelf-Employed and I organized an inaugural Kidlit Celebrates Women's History Month blogging event, in which 31 different authors and bloggers contributed posts regarding Women's History Month. We hope to repeat the celebration next year. I'd like to have lunch with Mo Willems--he's one of my favorite contemporary authors for kids. I think he's a genius at what he does--the Dr. Seuss of the 21st century. Mo lives in New York, I think, so maybe we'd go out for a slice of New York pizza! If you stop by from Armchair BEA, leave me a shout-out in the comments! Abraham Lincoln is a source of endless fascination to Americans of all ages; more books have been written about him than any other figure in American history. This new biography for young people by Lincoln expert Harold Holzer is a worthwhile addition to the pantheon of Lincoln books, and could be enjoyed by young people and adults alike. The outlines of Lincoln's life are well known to most of us; this volume concentrates on Lincoln's personality as a father, the lives of his four sons, and what happened to the two sons that survived him and to their descendants, a story that most people are less familiar with. Although Lincoln was famous for his wit and love of telling jokes, his private life was as imbued with personal sadness as his presidency was full of grief and sorrow for most U.S. citizens, a huge percentage of whom lost family members during the Civil War. 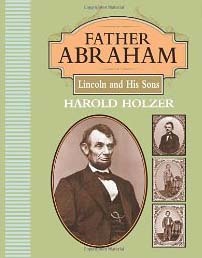 Holzer chooses to begin his story with the death of Abraham Lincoln II, known as Jack--Lincoln's only grandson. Like three of Lincoln's own sons, Jack died tragically at a young age, succumbing to blood poisoning at the young age of sixteen. Holzer then turns his attention to the Lincolns who came before Jack, as the authors puts it, "the story of the clan that might have become America's royal family but instead became America's cursed family--and then disappeared altogether." We learn about Mary Todd and Abraham Lincoln's courtship, their early married life (in which they initially lived in one room in a boarding house--quite a shock for Mary Todd who came from a wealthy family). Their first son, Robert, was followed a few years later by Eddie, who was a sickly child and died shortly before his fourth birthday. Death of children was common in the 19th century; nonetheless, his parents were devastated. Lincoln cried openly, and Mary was in such despair that Abraham was forced to remind her, "Eat, Mary, for we must live." Although they never got over his loss, Mary was soon pregnant again, giving birth to Willie and then to Thomas, quickly nicknamed Tad, when his father remarked he looked like a baby frog, or tadpole. The book is full of colorful anecdotes about the Lincoln boys and their family life, including for example, excerpts of a charming letter little Willie wrote to a friend while on a trip with his father to Chicago in 1859. We also learn about their schooling; Robert Lincoln failed his first exams to get into Harvard, and Tad had such difficulty sitting still and learning to read that today he would probably have been diagnosed with learning disabilities. The Lincolns were incredibly indulgent parents, especially for their day, when children were expected to be "seen and not heard," and it is wonderful to imagine the gangly Lincoln lying on the floor with his young sons climbing all over him, as described in this book. While their two young sons still at home with them must have been excited to arrive at the White House to live after Lincoln's election to president, (Bob being already away at school by the time Lincoln was elected), the family's years in the White House were not destined to be happy ones. Initially Willie and Tad ran amok, getting into plenty of mischief, acquiring a menagerie of pets, interrupting cabinet meetings, drilling servants as soldiers, putting on plays in their own theatre, and hanging around the Union soldiers whose encampments surrounded the White House. Oh yes, and sometimes there were lessons with a private tutor. But their happiness was short-lived. 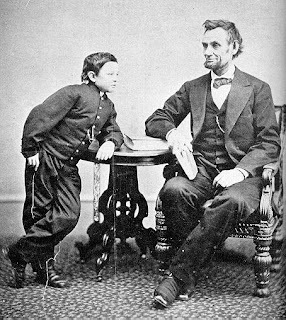 Willie, his father's favorite and the son most like Lincoln in personality and intellect, died tragically in 1862, to the great grief of both his parents, but particularly driving his mother into a deep depression. After his brother's death, Tad was even more indulged and spoiled, but he, too, was fated to die young, just a few years after his father's assassination. Tad's death was described by Mary as the worst of the many sorrows she bore during her life. The one son who lived into adulthood, Robert, became a cabinet minister under President Garfield, and ironically was present when Garfield, too, was shot by an assassin. Holzer paints a somewhat unsympathetic picture of Robert as a man; he is perhaps best known today for having his own mother committed to an insane asylum (she was later released). Toward the end of his mother's life, he took his daughter, Mary Todd's granddaughter, to see her, clearly trying to mend their relationship before Mary Todd's death. 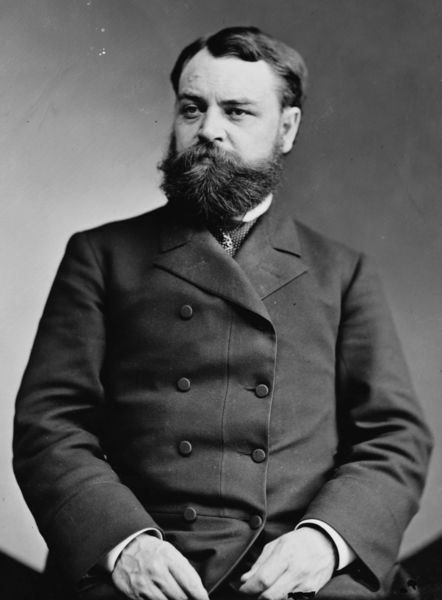 I found it fascinating to read that although Robert Lincoln had three children and several grandchildren, none of the grandchildren had any offspring, and therefore Abraham Lincoln's last living descendant, Robert Todd Lincoln Beckwith, died in 1985. There are many excellent books for young people on Lincoln, including Candace Fleming's The Lincolns: A Scrapbook Look at Abraham and Mary and Russell Freedman's Newbery winning biography Abraham Lincoln: A Photobiography, among others. 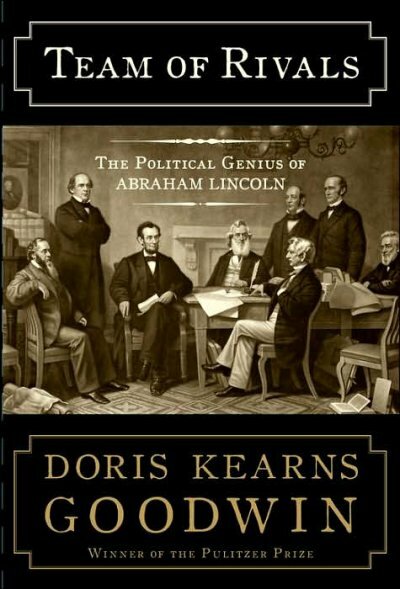 Nonetheless, this book covers different territory, with its in-depth look at the Lincolns as parents and what happened to their four sons and descendants. It's a must-have for school and public libraries. What are some of your favorite books about Lincoln for young people? Please leave a comment with the title. 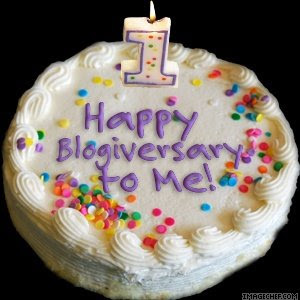 I realized the other day that I had recently passed a blogging milestone of sorts--my one year "blogiversary." I started my blog on May 17, 2010, after learning about book blogs in one of my library school classes and having an "aha" sort of moment. Why add my voice to the approximately 126 MILLION bloggers out there (a statistic tracked through BlogPulse)? I wanted to do something a little different than everything else out there--blog about historical fiction, one of my favorite genres, and specifically about historical fiction for kids and teens. I expanded into some history-related non-fiction as well as I developed a focus for my blog. At the beginning I wondered if anyone would read my blog--like the hostess who throws a big party and wonders if anyone will come! Much to my delight, people started to follow my blog (and they're not members of my immediate family, for the most part) and I quickly discovered that blogging can become a bit of an obsession--both writing my own and reading those of other bloggers. One of the great parts is a very supportive on-line community of book bloggers. I even got to meet some fellow bloggers in person this past year at Kidlitosphere in Minneapolis and at the American Library Association Mid-Winter conference in San Diego, where it was great fun to put some faces to some of the names I've been following on-line. I also wanted to give a shout-out to fellow blogger and librarian Lisa Taylor at Shelf-Employed for co-organizing with me an inaugural Kidlit Celebrates Women's History Month blogging event, in which so many supportive authors and bloggers participated. Over the past year I feel some sense of accomplishment to have reviewed over 150 books on my blog and published over a dozen author interviews. I hope I'll be able to keep up my pace! 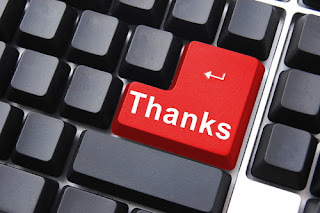 I wanted to thank all the supportive readers out there who've kindly commented on my blog and made me feel like someone is paying attention out in cyberspace. As part of their relaunch of their hugely successful Dear America series, Scholastic has published a sequel to one of the earlier diaries in the series, The Winter of Red Snow, published in 1996. Two years have past since Abigail chronicled the despair and misery of the terrible Valley Forge winter of 1777-78, but the war still drags on, now nearly four years old. Her father is camped with Washington's main army in New Jersey when Abby and her family are forced to flee their home after a fire destroys everything they own. After seeking shelter with a cousin who cannot keep them, they soon join the many women and children who are encamped with the American troops. They must earn their keep by laundering and mending, and return are given rations by the army. Martha Washington and her slave, Oney, also live by the camp (although in better accommodations!) and appear numerous times during this story. When the army moves, Abby and her family must follow along, part of a "ragged, noisy crowd." The winter is once again brutal and food is scarce and often rotten, filled with maggots. All are waiting for the Marquis de Lafayette to return from France, with French ships and supplies. But life goes on, with babies being born in the camp, some new friends being made, and romance blooming between Abby and a young soldier, Willie. The soldiers build huts for shelter from the winter weather, and Abby tries to keep some normalcy by attempting to teach the younger children their letters. Spies are everywhere, including the treacherous Benedict Arnold, and with rations and pay scarce and non-existent, the American troops are threatening mutiny. The British seem to be having victory after victory in the Southern colonies. Will the war ever end? Although this book can stand alone without having read the first book about Abby's family, I would recommend reading them in order for a richer experience. 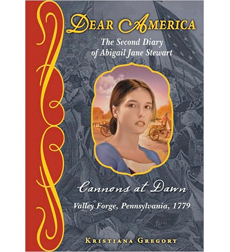 Once again Kristiana Gregory captures the adventure, trials, misery, and triumph of this exciting period of American history through the eyes of a sympathetic young colonist. Highly recommended! I am delighted to participate in the blog tour for Gary Golio's terrific new biographical picture book on music icon Bob Dylan. Gary Golio's last picture book was the stunning award-winning collaboration with Javaka Steptoe, Jimi Sounds Like a Rainbow, about rock legend Jimi Hendrix. In his newest release, Golio turns to another 20th century musical legend, Bob Dylan, and fans of his early work will not be disappointed. Much like Golio's book about Hendrix, this volume does not attempt to be a traditional biography and tell the entire story of Dylan's life. Instead, he concentrates on Dylan's youth in Minnesota, when he was just Bob Zimmerman, a Jewish kid who loved music, although he hated taking lessons! In fact, he taught himself both piano and guitar as a kid. Golio shows us some of Bob's early influences, as he listens on the radio to the great blues musicians of the time such as Muddy Waters and B. B. King, as well as country star Hank Williams. Bob's parents thought music was a waste of time, and Bob grew up feeling different--teased for his Jewish heritage, and belittled for his musical ambitions in the small mining community where he lived. But Bob knew he'd show them all one day, and be a bigger music star than Elvis! To please his parents, Bob started college in Minneapolis, although he spent most of his time in coffeehouses singing folk music. At an audition, he told a cafe owner that his name was Bob Dylan--after Dylan Thomas, his favorite poet. And he practiced and practiced, learning all kinds of music, even forgetting to brush his teeth sometimes because he was so engrossed in his practicing! When Bob was introduced to the music of folk singer Woody Guthrie, he found a singer/songwriter whom he grew to idolize, so much so that when he heard the singer was in the hospital in New York, he found out the phone number and hitchhiked cross-country at 19 years old just to see him. He visited his hero in the hospital, even singing a song he had composed just for him: "Song to Woody." 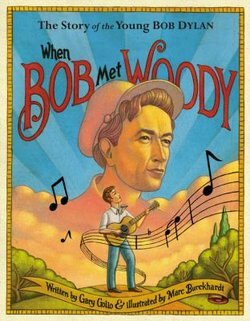 An afterword explains how by meeting Woody Guthrie, Bob became part of an inside circle of the most important people in American folk music, many of whom helped him find work and even "fed him meals and lent him their couches." Less than a year after arriving in New York, he had a record deal with Columbia Records. Golio also describes how Bob's ability to blend different music styles changed the face of American popular music. The book includes a brief bibliography of books, audio sources, videos, and internet resources on Bob Dylan. Marc Burckhardt's illustrations are a perfect fit for the folksy style of Golio's prose and for Dylan's status a folk music idol. From Austin, Texas, Marc lives in the "live music capital of the world," and has illustrated several other picture books as well. In this book, he uses acrylics and oil paper mounted on board to create a vibrant folk art look that reminded me of the monumentality of the figures of Grant Wood and other great American painters. This is a terrific picture book to share with young people, even better if you can combine it with some song tracks (try Youtube for some free links, including rare surviving footage of Guthrie performing) from both Dylan and Woody Guthrie, making together a valuable lesson in the evolution of American folk music! Adult fans of Dylan will enjoy sharing this book with children in their lives as well, as a way to introduce them to a great figure in American music. This second offering in Laurie Calkhoven's Boys of Wartime series for middle-grade readers tells the compelling story of 12-year old Will, who lives in the quiet town of Gettysburg, Pennsylvania and dreams of glory as a Union drummer boy. He's too young to enlist without his parents' permission, which his mother is not about to give, but when the book opens Will has no idea of the important role he'll be asked to play for the Union cause. As Confederate troops march into the town, prowling the streets "like hungry wolves," even forcing the local candy story owner to open his shop so they can clear out the goodies, Will makes an unexpected friend--a drummer boy his age from Tennessee, a friendship that will soon prove more valuable than he can imagine. Will is as surprised as can be when he finds himself inviting the hungry and dirty boy to supper, where he is greeted with courtesy by Will's family (his mother even offers the ragged boy clean clothes). Through Will's eyes, we see how the battle came about, with the two sides meeting pretty much by chance at the crossroads of ten major roads at Gettysburg, making a battle at a town the commanders of both armies had never heard of all but inevitable. As the battle draws near town, Will's sisters are taken to a neighbor's farm nearby, where his mother thinks they will be out of the way of the battle. As Confederate soldiers take the town on July 1, Will meets an injured Union officer who is desperate to get a message to General Meade. Can Will help him get through the Confederate lines to complete his mission? Should he join up with the Union officer and become his messenger? This is an exciting war novel for middle grade students; as a civilian, Will's character offers a different perspective on the war than we find in many children's novels. First he's excited to see all the soldiers, and dreams of enlisting himself. Soon, however, he experiences the horrible sights, sounds, and even smells of battle as he discovers that the peaceful farm where his sisters had been sent has been converted to a hospital, crammed with injured and dying men moaning in pain, begging for water, and filled with the noise of the surgeon sawing off ruined limbs. He finds himself on the battle's front lines in spite of himself, as the battle progresses to different locations around the town. Calkhoven vividly describes the sights and sounds of the battlefield--the cannon fire shaking the earth, the roaring of the guns--making us feel that we are right beside young Will. She also gives us a good perspective on what is happening in the town, where Union soldiers are hiding in Will's mother's house, which is searched by Confederates who Will's mother winds up cooking dinner for. His house, too, fills up with wounded soldiers. Calkhoven concludes her novel with Will hearing Lincoln's very short--but later very famous--address at the dedication of the cemetery for the thousands of dead soldiers at Gettysburg. Will even has a chance to shake the famous man's hand. 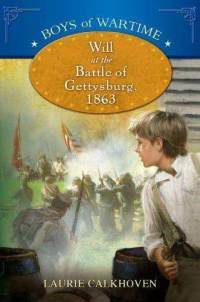 The novel includes an historical note, brief biographical information on real historic characters who appear in the novel, a timeline of the battle of Gettysburg and the Civil War, and a glossary. 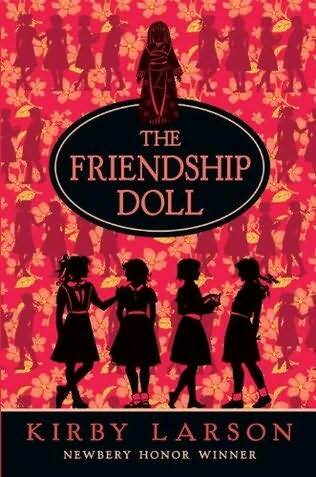 Award-winning author Kirby Larson's newest historical fiction novel for children tells the story of four girls whose lives are intertwined with a remarkable nearly life-size Japanese doll. Larson was inspired by a photograph she found while researching her earlier book, Hattie Big Sky. 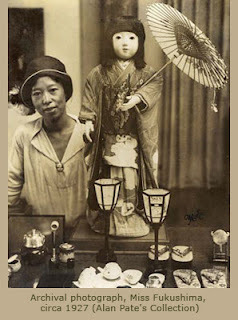 This photo showed a 1920's Montana farm girl dressed in overalls standing next to an exquisitely detailed Japanese doll, dressed in traditional kimono. Larson's research unearthed the true story of 58 dolls sent to the United States from Japan in 1927 as Ambassadors of Friendship, a gift from Japanese schoolchildren. The dolls were three feet tall, with real human hair and handpainted faces, dressed in a silk kimono and accompanied by sets of miniature accessories, including chests, tea sets, parasols, and even tiny passports. Sadly, after the bombing of Pearl Harbor and the rise in anti-Japanese sentiment, most of the dolls were removed from public display, and while some have been recovered, others were lost forever. Larson's tale follows the adventures of Miss Kanagawa, "a doll like none other," from the 1920's to the present day. Miss Kanagawa narrates parts of her own story, and her proud and courageous personality, imbued with true samurai spirit, shines through the narrative. She is honored to be an ambassador, with an important role to play; "I simply happen to be a doll," she writes. Miss Kanagawa's musings are interspersed with the stories of four girls whose lives she influences, girls from very different backgrounds: Bunny, a rich upper-class girl from New York City, who is part of the contingent to welcome Miss Kanagawa to New York City; Lois, whose grandmother takes her to the Chicago World Fair in the height of the Depression, where Miss Kanagawa is on display; Willie Mae, a small-town Kentucky girl, who finds herself with a job reading to an elderly woman who now owns Miss Kanagawa; and Lucy, an Okie who with her out-of-work father travels to the West Coast in search of work. There Lucy, an aspiring writer, visits a small museum where she, too, encounters Miss Kanagawa. Each of these stories could easily have become overly sentimental, but I found them charming and moving, as each girl learns what friendship is all about, and Miss Kanagawa herself learns to feel love bit by bit. The stories include rich historical settings, including the Chicago World's Fair, a packhorse librarian who delivers books to Willie Mae, and the plight of the Okies. It's a perfect book for doll-lovers, young and old, although you don't have to be a doll person to appreciate the book's message. For me, it made me remember some of the doll stories I loved as a little girl, particularly Dare Wright's Lonely Doll stories about Edith the doll, and Raggedy Ann and Andy's many adventures. This novel would be terrific fun for mother-daughter book groups to enjoy together. While the book does not include any pictures of the real dolls, there is an author's note with additional information about the history of these unique ambassadors, as well as historical notes about each girl's story. The author also provides some information on contemporary Americans who are working to keep the spirit of the Friendship Dolls alive (see in particular Bill Gordon's website). While I don't usually review titles published for adults on my blog, I was so taken with Laura Hillenbrand's amazing saga of World War II veteran Louis Zamperini--a terrific read for teens as well as adults--that I had to share it with my readers. You may recognize Laura Hillenbrand's name from the best-seller she wrote a few years ago, Seabiscuit: An American Legend, which inspired a very popular movie based on her book. While doing research on Seabiscuit, Hillenbrand kept coming across newspaper articles on Louis Zamperini, and was so intrigued by his story that she hunted down the still-alive vet and became obssessed with telling his story. Zamperini's story is so gripping and amazing that it's a clear case of "truth is more amazing than fiction." 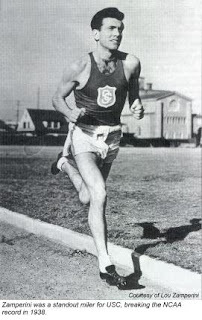 Zamperini, born into a large Italian-American immigrant family, grew up in Torrance, California, where he was on the verge of becoming a juvenile delinquent until his older brother, Pete, recognized Zamperini's athletic abilities and began encouraging him to train as a runner. Pete was so good that he made the 1936 Berlin Olympic team, and was widely expected to be the first runner to break the four-minute mile mark. The war interfered with his plans to continue training for the next Olympics (ironically scheduled for Tokyo) and soon he was serving as an airman, stationed in Hawaii. On a mission to find a missing aircraft, his plane, too, went down over the Pacific in May, 1943, with only Louis and two others surviving the initial crash. After a harrowing journey over 47 days and thousands of miles of ocean, emaciated, dehydrated, and dogged by hungry sharks, the survivors are finally picked up--by the Japanese. While the reader breathes a brief sigh of relief, unimaginably worse horrors are yet to come for our hero, as he is sent to Japanese POW camps, where he is starved, beaten, emotionally abused, worked practically to death, and humiliated. Barely surviving the war, Louis' torments are not over; returning stateside, he is haunted by unspeakable nightmares populated by his tormentors, and slides into alcoholism, despair, and obssession with revenge on "the Bird," the most odious and sadistic of his Japanese captors. Louis' journey to redemption is guaranteed to be one of the most inspirational stories you will ever read, and, much like many stories I've read of Holocaust survivors, his story of surviving the almost-unbelievable conditions of the Japanese POW camps is an incredible testament to the power of the human spirit and Zamperini's towering will to survive. Hillenbrand's vivid writing is a model of page-turning narrative non-fiction, as engrossing as any novel. She illuminates an area of recent history that is fading away as the last of the World War II veterans pass away. Zamperini himself is still alive at age 94 and back in the spotlight as Hillenbrand's book, released in the fall, stays on the bestseller lists and Zamperini has been widely interviewed in conjunction with the release of the book, even participating in a book tour. Zamperini himself puts in better than I can in an interview with the local Torrance paper, The Daily Breeze: "Laura Hillenbrand is something else--the way she writes - it's unbelievable. It grips you and pulls you into the story. I know when I was reading it I had to stop and look out the window to be sure I wasn't back in prison camp." Although Hillenbrand and Zamperini have never met in person, the author conducted more than 75 telephone interviews with Zamperini over a seven-year period and the two became close friends. This is a real-life timeless survival, adventure, and war story not to be missed, and it's sure to appeal to teens, particularly boys. Highly recommended for high school libraries in particular! Note: For more on Zamperini, including lots more photos, see this profile from the Wall Street Journal. 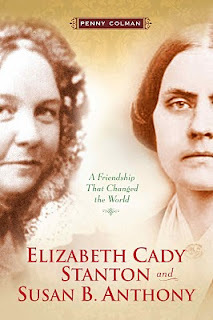 Award-winning non-fiction author Penny Colman has written extensively for young people about the history of women in America, and her newest book focuses on "a friendship that changed the world"--Elizabeth Cady Stanton and Susan B. Anthony, two of the leaders of the 19th century American suffragist movement. While there are many women who fought for the right to vote, Colman points out in her preface that these two women in particular are remembered for "their fierce, relentless, groundbreaking leadership and their powerful friendship in the fight for women's rights." Their friendship lasted a remarkable 51 years, sustaining the whole movement, although sadly neither lived to see Congress pass the 19th amendment. Colman paints a fascinating dual portrait in this book, which although published for young people, is equally suitable for adult readers looking for a well-written and reasonably comprehensive introduction to both women's lives. In the beginning of the book, she alternates chapter by chapter, telling the story of both women's childhoods separately. They grew up in quite different circumstances, Elizabeth in a large, wealthy family with servants, her father a prominent lawyer and judge. When her older brother died at twenty, eleven-year old Elizabeth decided to "be all my brother was," becoming an excellent student (the only girl in a class of all boys, relishing her studies of advanced mathematics and languages) and an accomplished rider. She was shocked at the injustices women suffered under the law, and resolved to take her scissors and cut all the "odious laws...out of the books." Her father gently explained to her that this would not make any difference in women's conditions, since there were many other lawyers and libraries. Susan, on the other hand, was born into a large Quaker family, with a father who also believed strongly in education for girls as well as boys. Her father managed a textile mill, and Susan was expected to help care for the younger children and pitch in with many household chores. By fifteen, Susan became a teacher in her father's private school, and continued her own education later at a female seminary near Philadelphia. We see their lives unfold side-by-side: Susan, who had no shortage of suitors, remained an unmarried teacher, and Elizabeth, married to a prominent abolitionist and soon with a house full of children. When Elizabeth moves to Seneca Falls, New York, she begins to plan together with her friends the first "Woman's Rights Convention." They drafted a Declaration of Sentiments, based on the Declaration of Independence, with a resolution on the right of suffrage. Elizabeth's own husband would not agree to it, and the convention was ridiculed in newspapers across the country. But Elizabeth was not intimidated; more women's rights conventions followed, although Elizabeth was unable to attend due to pregnancies and her small children. However, she would write speeches and letters that were read at these meetings by others. Elizabeth and Susan were eventually introduced by fellow suffragist Amelia Bloomer and immediately hit it off, although at this time Susan did not share Elizabeth's intense commitment to women's rights, being passionately committed instead to the temperance movement. However, Susan's focus soon shifted to the issue of suffrage, as she began to realize that without the vote women couldn't push effectively for any other political changes. The two women's skills complemented each other very well; Elizabeth didn't have the freedom to travel and make speeches as often as Susan because of her many children, so she often wrote the speeches that Susan then delivered all over the country. Colman takes us chronologically through both of these icons of women's rights long lives, as each continued fighting to the bitter end to see the vote passed for women. There are many excellent web resources on these two remarkable women. Just to name a few to start with, for more on the web on Susan B. Anthony, see the website for her home in Rochester, New York, now a museum and Winningthevote.org, a project of the Rochester Regional Library Council. For more on Elizabeth Cady Stanton, see Elizabethcadystanton.org and the website for Elizabeth Cady Stanton's house, now run by the National Park Service, which includes this attractive brochure/flyer from the Park Service on Elizabeth's life in Seneca Falls. I highly recommend this book for purchase by school and public libraries; it could be used for both school reports and also for pleasure reading by young people interested in biographies of great figures from history.